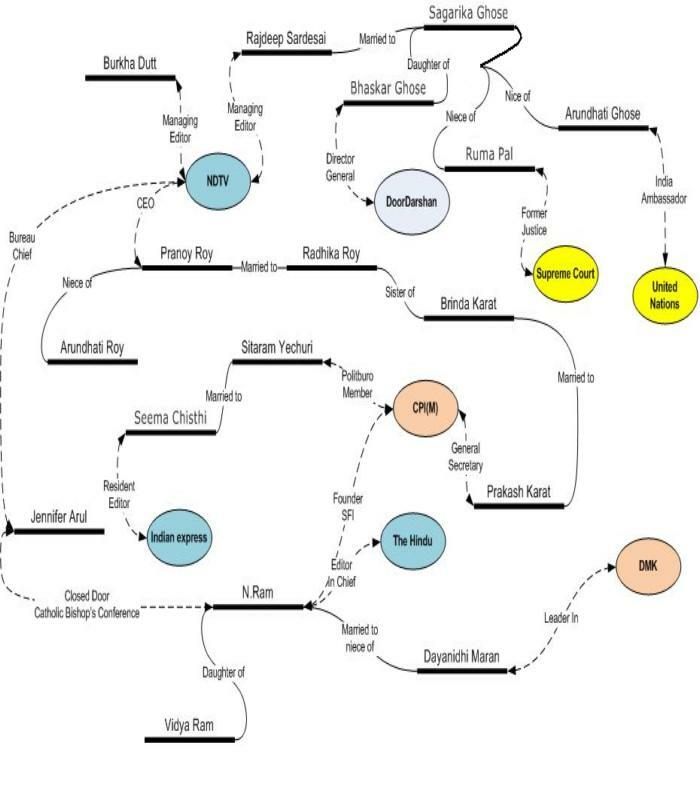 Aum: Fwd: Who funds Indian Media - Very informative article..
Fwd: Who funds Indian Media - Very informative article..
A very popular TV news media is funded by Gospels of Charity in Spain Supports Communism. Recently it has developed a soft corner towards Pakistan because Pakistan President has allowed only this channel to be aired in Pakistan. Indian CEO Prannoy Roy is co-brother of Prakash Karat, General Secretary of the Communist party of India. His wife and Brinda Karat are sisters. Which used to be the only national weekly which supported BJP is now bought by NDTV!! Since then the tone has changed drastically and turned into Hindu bashing. This is 100 percent funded by Southern Baptist Church with its branches in all over the world with HQ in US.. The Church annually allocates $800 million for promotion of its channel. Its Indian head is Rajdeep Sardesai and his wife Sagarika Ghosh. Times Group is owned by Bennett & Coleman. 'World Christian Council does 80 percent of the Funding, and an Englishman and an Italian equally share balance 20 percent. The Italian Robertio Mindo is a close relative of Sonia Gandhi. It is run by an Australian, who is supported by St. Peters Pontifical Church Melbourne. Owned by Birla Group, but hands have changed since Shobana Bhartiya took over. Presently it is working in Collaboration with Times Group. English daily, started over 125 years has been recently taken over by Joshua Society, Berne, Switzerland. N. Ram's wife is a Swiss national. Divided into two groups. The Indian Express and the New Indian Express (southern edition) ACTS Christian Ministries have major stake in the Indian Express and latter is still with the Indian counterpart. It is controlled by Communist Party of India. Is owned by a Saudi Arabian Company with its chief Editor M.J. Akbar. Gujarat riots which took place in 2002 where Hindus were burnt alive. Rajdeep Sardesai and Bharkha Dutt working for NDTV at that time got around 5 Million Dollars from Saudi Arabia to cover only Muslim victims, which they did very faithfully... Not a single Hindu family was interviewed or shown on TV whose near and dear ones had been burnt alive, it is reported. Gets regular blank cheques from Arab countries to target BJP and Hindus only, it is said. The ownership explains the control of media in India by foreigners. The result is obvious. If Germany is Christian is India Hindu?